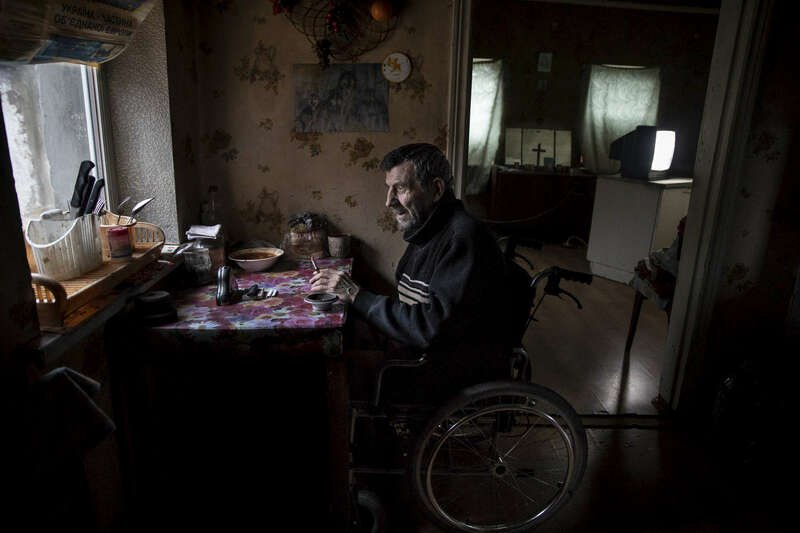 Avdiivka: Vladimir Mamoshyn, age 65, sits in his wheelchair, his wife died in 2010, now he lives alone, his children abandoned him. He resides in the war-torn Avdiivka village, less than a kilometer from the contact line where daily shelling and gunfire can be heard. In 2016, Vladimir lost his leg due to a vascular disease, with poor access to health facilities along with inadequate health care. After having a heart attack a few months later in 2017 he lost the use of his left hand, now he lives in a wheelchair depending on family and friends to help him.